The Patten Family Foundation proudly supported the construction of the new patient care center, The Lunder Building. 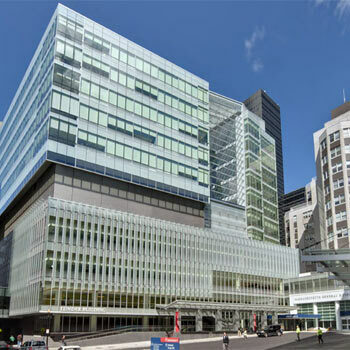 The Foundation has been a long standing donor to the Massachusetts General Hospital and in recognition of its generous support, MGH named its primary emergency reception and waiting area in the new Lunder Building the "Patten Family Emergency Reception and Waiting Area." In addition, through a very generous bequest made by Harry Patten, the 9th floor of the Lunder building was named for the Patten Family Foundation. This floor, along with the floor above, is dedicated to medical oncology and the treatment of cancer patients. Harry Patten is a member of the President's Advisory Council. 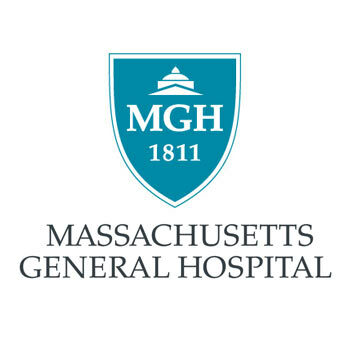 He has also agreed to serve as a Partners Healthcare Corporation member and will meet yearly to consider major governance issues concerning MGH. Massachusetts General is a teaching hospital of Harvard Medical School and a biomedical research facility in Boston, Massachusetts. Owned and operated by Partners HealthCare, MGH is part of the consortium of hospitals which operates Boston MedFlight and is a member of the Dana-Farber/Harvard Cancer Center. Founded in 1811, it is the third oldest general hospital in the United States, and the largest in New England. It was in the Ether Dome of MGH on October 16, 1846 that one of the first demonstrations of ether was presented to the medical profession to produce insensibility to pain. The hospital currently has 905 beds and admits over 45,000 patients each year. The surgical staff performs over 34,000 operations yearly. The obstetrics service handles over 3,500 births each year. The hospital handles over 1 million outpatients each year at its main campus, as well as its six satellite facilities in Boston at Back Bay, Charlestown, Chelsea, Everett, Revere, and Waltham. MGH conducts the largest hospital-based research program in the United States, with an annual research budget of more than $400 million. It consistently ranks as one of the country's top hospitals in U.S. News and World Report. In 2013, Harry and Rita Patten attended a dinner to honor Dr. Ken Minaker – chief of Geriatric Medicine at MGH. The Patten Family Foundation’s exceptionally generous donation helped to endow the first MGH Chair in Geriatric Medicine. ARTICLE: Kenneth L. Minaker, MD, chief of the Geriatric Medicine Unit, was honored Oct. 9 as the inaugural incumbent of the MGH Endowed Chair in Geriatric Medicine. READ MORE..